Like & Help Spread us Around! 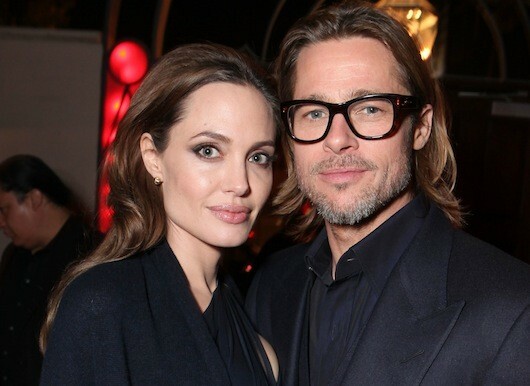 » Angelina Jolie & Brad Pitt: PGA Honor & SAG Nominee! » Angelina Jolie back for Salt sequel? WASHINGTON - JANUARY 11: Actress Angelina Jolie (2nd L) looks out from the Oval Office of the White House after a meeting January 11, 2012 in Washington, DC. Angelina Jolie was in Washington to attend the premiere of her directorial debut 'In the Land of Blood and Honey' at the Holocaust Museum. Angelina Jolie & Brad Pitt: PGA Honor & SAG Nominee! Angelina Jolie’s new film In the Land of Blood and Honey will be honored by the Producers Guild of America! Brad Pitt and Angelina Jolie attend the 17th Sarajevo Film Festival on Saturday (July 30) at the Sarajevo National Theatre in Bosnia. The 36-year-old actress stepped out in a coral Elie Saab gown for the closing ceremony, where she received the Honorary Heart of Sarajevo award. One day they will inherit their famous parents' millions. So perhaps it is wise that Angelina Jolie and Brad Pitt's children learn to be financially savvy from a young age. Enjoying some much-deserved downtime, Angelina Jolie was spotted out with her kids in Malta earlier today (June 15). The “Changeling” chick looked cute and casual as she brought her brood to an indoor play park, attracting the attention of the local paparazzi. Angelina Jolie back for Salt sequel?